I don't know about yours, but my Instagram feed has been flooded by people and brands asking me to turn on notifications that will notify me every time they post an image. They all say that Instagram will be making this change “tomorrow” and have been claiming this since last week. Yet this “tomorrow” still hasn't made it’s appearance as far as the Instagram update is concerned. And in fact we don't know when or if Instagram is actually going to make the change. 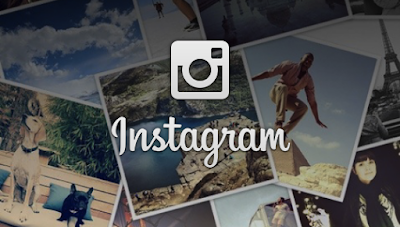 Only ideas by Instagram have been made and nothing has yet been set in stone. Instagram tweeted out on the 28th March; "We're listening and we assure you nothing is changing with your feed right now. We promise to let you know when changes roll out broadly.”. Even if it does change in the coming months, it doesn't necessarily mean that your photos won’t be seen by those who follow you. In fact, it could help people see your photos even more, as Instagram claims that the average user is currently missing 70% of the photos shared by people they follow. However I think that depends on who you are as a person and how many people you follow. Recently I increased the number of accounts I followed from 46 to 60 and I can ensure you I see every single post from each of them that they upload. This is because every time I do go onto the app I scroll down to the last photo I seen and then make my way up. For me this update wouldn't really be beneficial for me and I believe that it would be more of an inconvenient as it can possibly mean I miss photos that are uploaded if Instagram think I won’t like it as much as others. "The order of photos and videos in your feed will be based on the likelihood you'll be interested in the content, your relationship with the person posting and the timeliness of the post," Instagram said on its blog. "As we begin, we're focusing on optimising the order – all the posts will still be there, just in a different order.” Ugh. That is why I recommend avoiding turning on notifications for the people you follow, at least for now. The likelihood is that you will in fact still see the photos you want to see from the accounts you like the most. If you do decide to turn on notifications for people you follow, expect your phone to be buzzing constantly and the battery life to take a major hit. Personally, I have and nor will I ever (for now anyways) turn on post notifications for anyone I follow. Apart from it being annoying, these posts asking for followers to turn on notifications are just as irritating and I won't be the first to say - it just makes me really want to unfollow the account. However, if you do decide to turn on notifications for individuals simply tap the three gray dots in the top right corner of a post and choose Turn on Post Notifications. notifications really cost my nerves, i turned all notis on my mobile devices off. it´s much more comfortable and saves lots auf time a day.